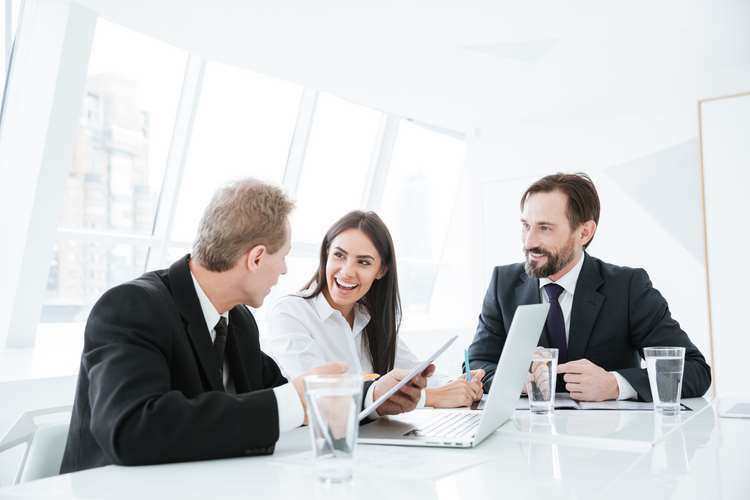 UK company formation experts, Turnerlittle.com have investigated the levels of SME borrowing, analysing the latest data from UK Finance to assess how the UK’s debt crisis has affected businesses. The data revealed that unlike consumer borrowing, SME borrowing in 2017 remained stable. But when the amount borrowed was compared with the number of active businesses from the ONS dataset on Business demography, significant regional differences were observed. Turnerlittle.com found that with a debt of £98,192 per business, SMEs in Northern Ireland were found to be the most indebted – owing almost three times the national average and more than four times borrowed by SMEs in East England (£22,472) which is the least indebted region per business. 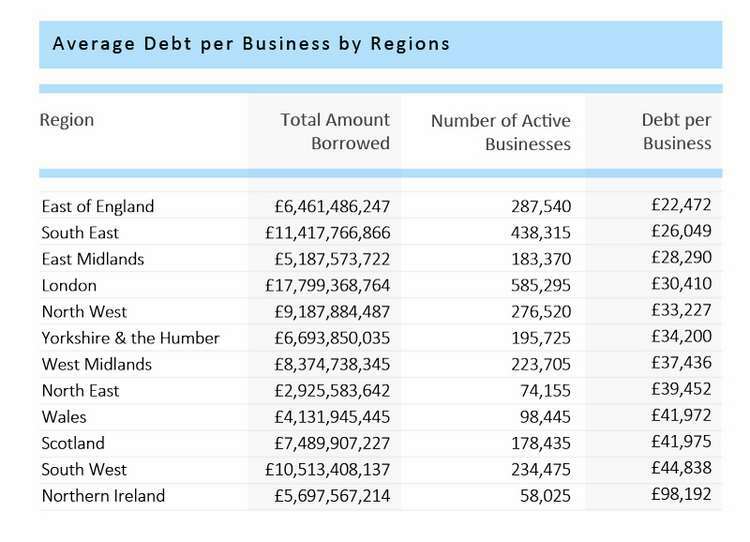 With a debt of £26,049 per business, the South East is the second least indebted region, followed by the East Midlands (£28,290), London (£30,410) and the North West (£33,227). After Northern Ireland, the highest debt levels per business were observed in the South West (£44,838), Scotland (£41,975) and Wales (£41,972). Turnerlittle.com also looked at data from UK Finance on business lending by cities and towns and noticed an even more dramatic difference in the levels of debt per business across the UK. With a staggering debt of £357,770 per business, Exeter was found to be the most indebted city per business in the UK, followed by Gloucester (£296,110), Ipswich (£233,171) and Norwich (£229,074). 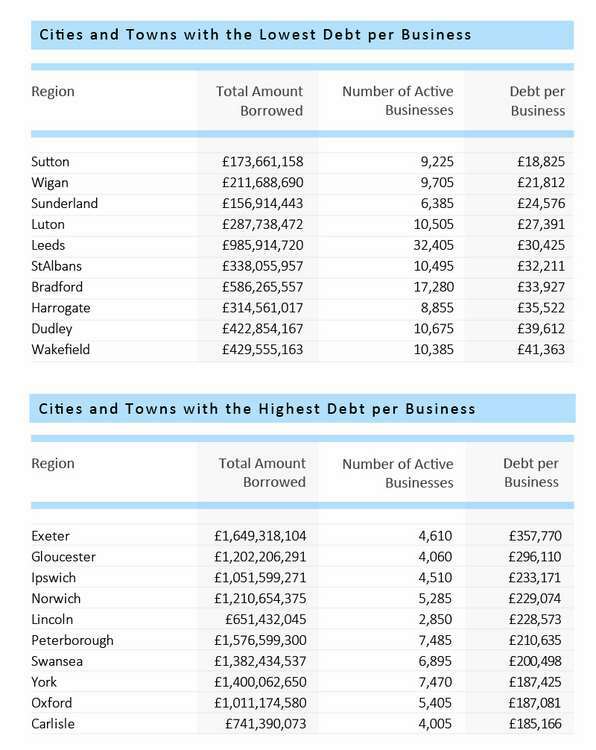 The lowest level of debt per business was observed in Sutton (£18,825), followed by Wigan (£21,812), Sunderland (£24,576) and Luton (£27,391). Looking at regional and sub-regional productivity in the UK, no direct correlation between the level of SMEs debt and productivity was observed. Despite that, Turnerlittle.com was very surprised to see such a difference in the levels of business debt between the most and least indebted cities. Turner little was also very surprised to discover that as many as 91.5%or 65 out of a total 71 of analysed cities and towns exceed the average national debt per business.